Raw Lemon Tart. The perfect dessert to serve to guests and they are gluten, dairy and refined sugar free. WINNING!! I recently asked the Becomingness tribe which desserts they would like to see me (re)create next. One of the requests was a Raw Lemon Tart. So I got cooking, and here it is! I have to say this, dessert is pretty damn good. It did take me a few attempts and a few adjustments to perfect it, but I am really happy with the result. On my first attempt I did not use cling wrap and then base stuck to the tart pans, I also did not use macadamias in the lemon cream. All part of the (still very tasty) learning process! As you can see in the above picture, the cling wrap makes life a whole lot easier. If you are trying to avoid plastic, then you can press the mixture straight into the pan. However, you may find it harder to remove the base. You can always serve them in the tart pans. 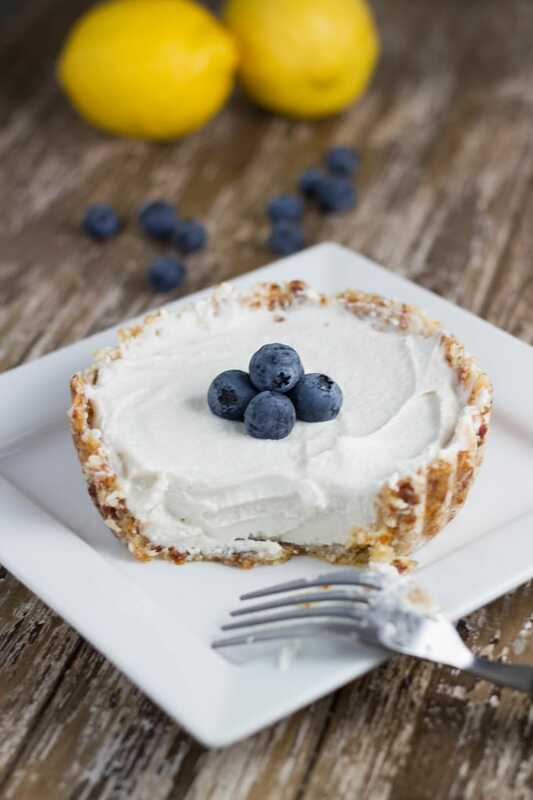 The bases will soften once you add the cream mixture, so I suggest only removing the bases from the tarts shells and adding the lemon cream, once you are ready to serve. 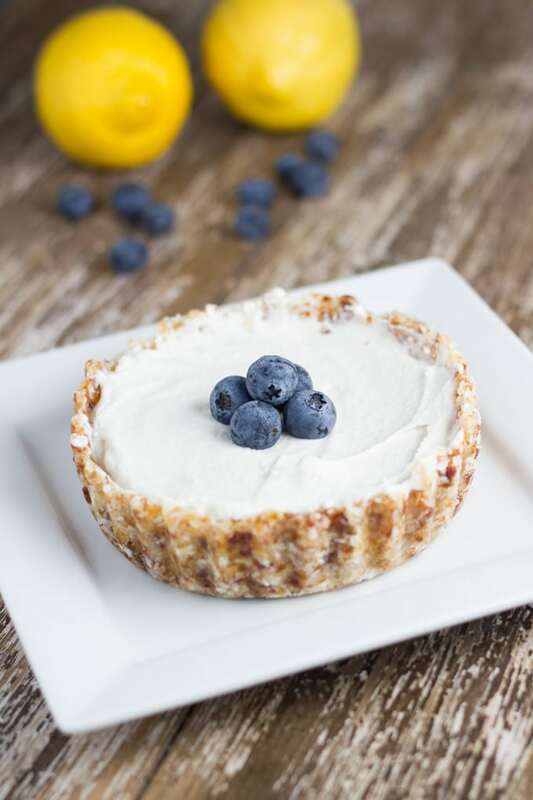 My Raw Lemon Tarts are the perfect dessert to serve to guests. They are up there with my Raw Chocolate Caramel Pie, Raw Strawberry, Lemon & Macadamia Cheesecake, Raw Chocolate Raspberry Slice & Raw Caramel Slice. 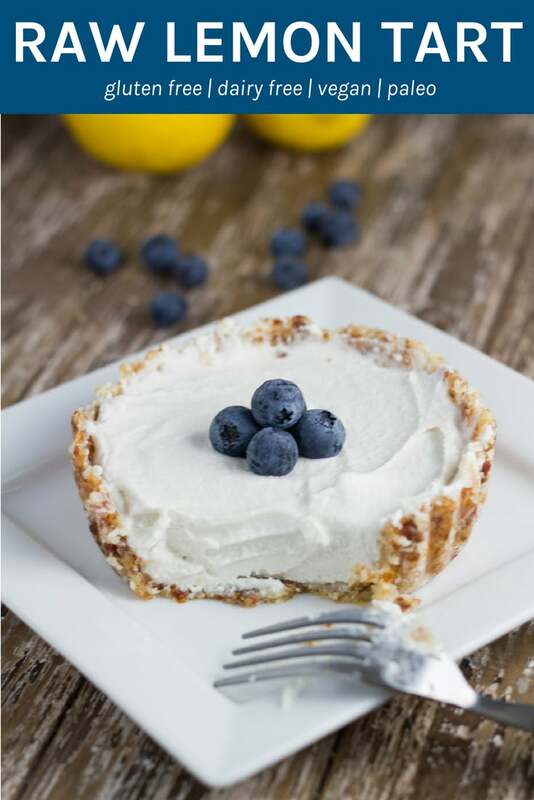 Raw Lemon Tart. 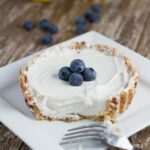 The perfect dessert to serve to guests and they are gluten, dairy and refined sugar free. Process the medjool dates, macadamias and dessicated coconut in a food processor or high speed blender until it resembles fine crumbs and sticks together when pressed. Pour mixture into into 2 small tart pans lined with cling wrap and press down to form the base. Place it in the freezer for a minimum 4 hours, overnight preferably. 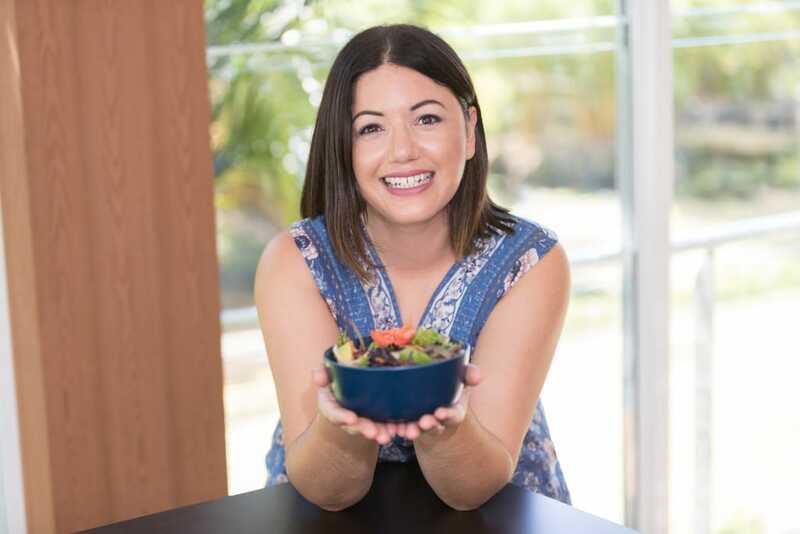 To make the lemon coconut cream; scrape out the cream from the can (leaving the liquid) and place in a blender with the lemon juice, macadamias and organic maple syrup, blending for a few minutes until the mixture is nice and smooth. Place in the bowl and refrigerate for a minimum 4 hours (overnight is best). When ready to serve, remove the tarts from their pans, remove the cling wrap and place the lemon cream into each tart. Top with the blueberries. Serve and enjoy.